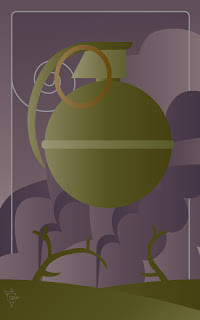 When I made my very long list of cards for the Noo Tarot, this was the third one I wrote down. 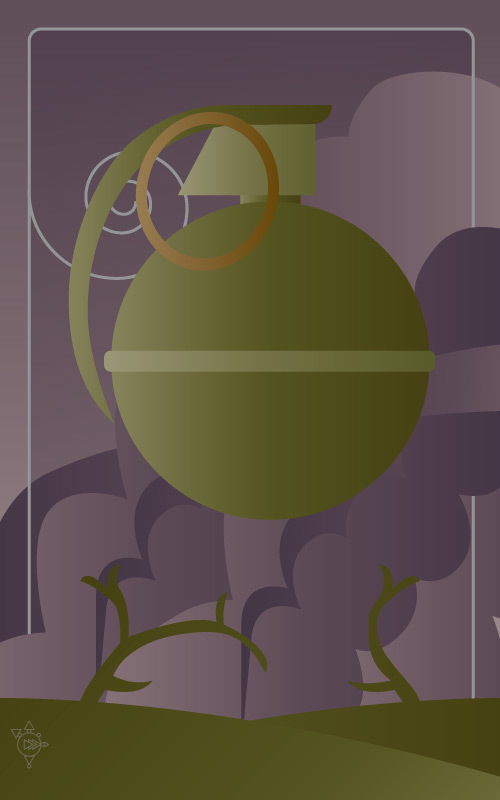 I did about 30 seconds of image research before deciding on this design instead of the more common avocado-shaped grenade. I'm very fond of how gloomy this card is. Is Granada the word pomegranate in English? Well, according to Google Translate, "granada" is both "grenade" and "pomegranate." I'll have to consult with one of my bilingual peers tomorrow.